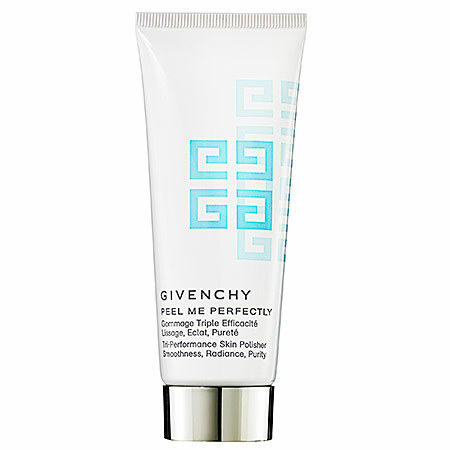 The Beauty of Life: Givenchy Peel Me Perfectly Is Truly Perfect. Givenchy Peel Me Perfectly Is Truly Perfect. I’ve waited 3 weeks to write this and now I’m finally able to share the secret to perfect skin: Givenchy Peel Me Perfectly. Why did I wait so long? Well, I just didn’t believe the results when I first tried it (and then again and again). Since it’s a peel and my skin is quite sensitive, I could only use it once a week. By the third use, I was truly sold –- this is a miracle in a bottle. The pale lavender cream is filled with tons of good stuff like microspheres to gently exfoliate, oarwood extract and glycolic acid to enhance radiance, and clay extract to purify and tighten pores. Let me tell you, this peel does all that it promises. After my first use, my skin was visibly brightened and my seemingly permanent blackheads completely vanished. My skin texture was smooth and pores were invisible. Fluke, I thought. Maybe because I had been reading about the product, I had convinced myself that I was seeing great results. I waited a week. The second time produced the same amazing results. For the third time, although the instructions say to massage in gentle circular motions, I simply patted a generous layer over my sensitive skin and let it sit for a few minutes. Um, what are blackheads again? The best part is, the results last. I’ve encountered products before that did their job right after I used them, but I would wake up to my previous dull skin. With this Givenchy peel, my skin stayed clear, tight and bright for an entire week -- at which time, I fell in love all over again. Givenchy Peel Me Perfectly retails for $45 at sephora.com. I'm going to have to get this for myself. Thanks for the review.